Honouring our “Diggers”… can you help? A request has come in which I’m most happy to pass on. Good luck with your research Tony Wege and I look forward to reading your book. Is there anyone in Victoria, SA and WA who has any connection with the 2/AIF unit, the 2/4th Reserve Motor Transport Company? This unit served in Malaya and Singapore from April 1941 until the fall of Singapore. Then most of its members became PoWs (Prisoners of War). Some returned to Australia. I am researching and writing the unit’s history. It was raised in Victoria, South Australia and Western Australia in the period late February and March 1941. The whole unit left Fremantle on the 19th April 1941 for Singapore. I am anxious to talk with anyone who has a connection with any member of the unit. I can be contacted on 08 85622257 or email: wege@internode.on.net. 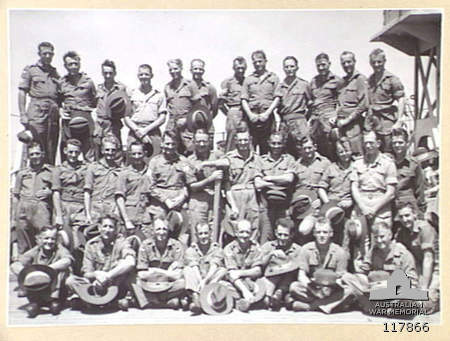 Thankyou to the Australian War Memorial for the photo of surviving 2/4th Reserve Motor Transport Company PoWs returning to Australia…. This entry was posted in History, Military and tagged 2/4th Reserve Motor Transport Company, Australian War Memorial, Fall of Singapore, Prisoner of war by Catherine. Bookmark the permalink. Gidday my name is Carol, not sure i can help you at present but will make inquires with some friends of mine from Broken Hill and here in Bendigo I lived in Ceduna for 10 ys in the 80s and was one of the founders of the radio station, then went onto to Kapunda for 20 yr to help with my sons, wife with an illness who still lives there, I left there April 2012 to nurse my 90 yr Mum in my hometown Bendigo for which I have settled back with my 20 yr grandson whom I have had since he was 3 mths and is a well behaved kid and a Security Officer. A friend of mine Humphery Morgan who runs Border Village motel hotel might be able to help as well or put you in touch with someone who can. The other thing is of course is facebook which goes around quicker than a fire. Good luck with it all. yours carol. Thanks Carol, that ‘s terrific!!! I know Tony is still looking for info because I recently saw a message in the “Can You Help?” section in the Advertiser. My uncle, Horace Gilchrist ROSS VX20948, was a member of the 2/4th Reserve Motor Transport Company. I would be interested in any information relating to his war service. I am not sure that I have the correct email address for Tony Wege: wege@internode.on.net.au? I don’t have any additional information, other than that which my Mum posted here. Perhaps it would be worth sending a letter by “snail mail” to the PO Box if you are not getting a response by email?